The history of Cadillac can be divided up into three parts. In the beginning there were humble economy cars, then innovations such as V8, V12 and V16 engines and electric lightning/starting were made, but production was still low. After World War 2 and centralized control from General Motors management and order books of 100,000 cars the strategy again changed. During the time when General Motors Management had control, the car repair industry was also thriving. The Cadillac presented a new way for the public to see the use of a car. 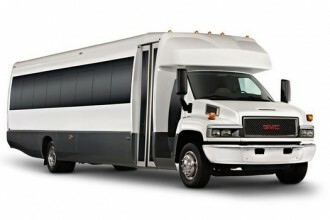 It was a luxury model, high price to begin with, with low amounts of repair for the long term. 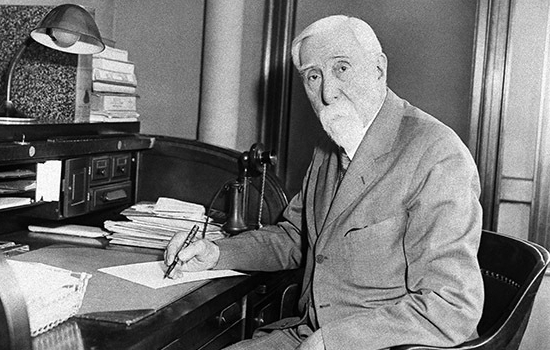 Henry Leland the founder of Cadillac was older than many of the U.S. motor pioneers and already a well-established engineer, when his engineering company built its first car. Before that they had produced transmissions and single cylinder engines for Ransom Olds famous Curved Dash. And even though the engines were superior to their contemporaries, Olds rejected the latest engine because of the costs. 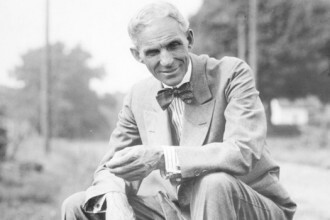 While Leland was still searching for and alternative market he got the chance to buy the remnants of the Henry Ford Company after Henry Ford had departed. 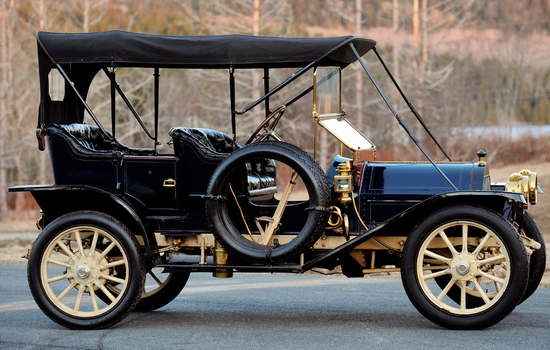 By using Leland’s single-cylinder engine they started to build a new car, which was first displayed at the New York Automobile Show in 1903. As they couldn’t use the Ford name, they named it Cadillac, after the 17th century French explorer Antoine Laumet de la Mothe, Sieur de Cadillac, who founded Detroit in 1701. The Cadillac Model A was a small simple car with Leland’s single-cylinder-engine lying horizontally under the seat and giving little indication of the exotic creations that would follow. 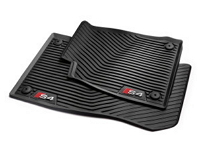 Even though exact production figures for the first year are uncertain, it attracted over 2,000 orders a week. 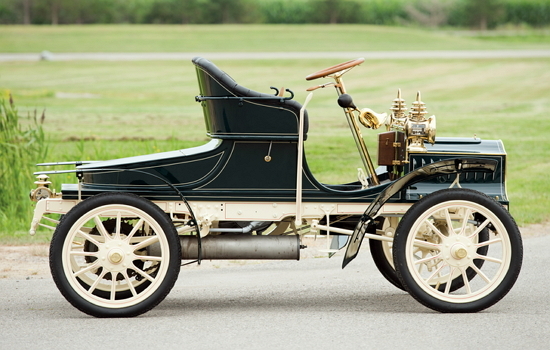 The first move upmarket was the four-cylinder 303-ci Model D which was launched in 1905. And even though the Model D only made up a tiny proportion of Cadillac’s production that year, it clearly showed where the company’s direction lay. Later that very year the Leland & Faulconer Manufacturing was taken over by the Cadillac Automobile Company and Leland became general manager. 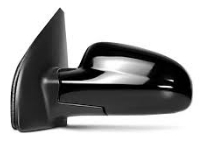 Leland transferred the precision engineering and consisting production standards he valued to car production and in 1907 imported the ‘Jo Block’ gauges from Sweden. 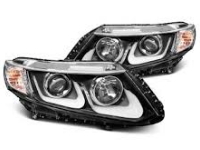 They were invented by Carl Edward Johannssen, ensuring that every component was identical. So no filing and fashioning of individual parts was necessary until they fitted, they could be simply bolted on. This of course not only speeded up production but also made up for more reliable cars. Leland’s British importer, Frederick S. Bennett, demonstrated that in 1908 by completely dismantling three single-cylinder Cadillacs, mixing up the parts and reassembling them into three cars, which started and ran without a hitch. In 1909 the singles were replaced by the four-cylinder Thirty, which was cheaper than the existing four and a big advance on the single. The engine measured 227 ci, which was enough to give the car a reasonable performance. A range of three body-styles was available. Of the well-engineered and affordable Thirty nearly 6,000 were sold in the first year. Of course the success didn’t go unnoticed and Cadillac was acquired by William C. Durant in 1909. Henry Leland, assisted by his son, remained at the helm for a while but when war broke out in Europe in 1914 he wanted to produce aero engines but was overruled by Durant. As furious as he was he and his son resigned and started to make engines themselves. After the war the Lincoln Company went on to built luxury cars but was soon facing bankruptcy and was taken over by Ford. As that didn’t work very well Henry Leland and his son Wilfred left the company within months with Henry going into active retirement. It was an all-in-one system using a dynamo as a starter motor and to charge the battery and supply lights and ignition with electricity. This was of course a great step forward in a world of hand-cranking and kerosene lamps and not surprisingly production made a great leap forward to over 12,000 cars in 1912 and over 17,000 in the following year. 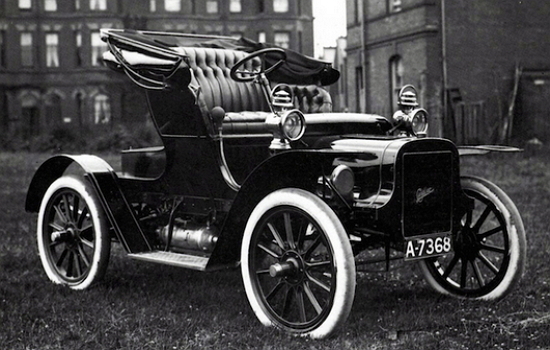 But Cadillac already worked on the next innovation, and announced the first series production V8 for 1915. In the Cadillac Model 51 standardized parts were again used to build engines in large number. The 90° V8 of 316 ci produced 70bhp and a top speed of 65mph (105 km/h). The car was offered in a range of nine different body styles starting at about $2,000 and over the first year 13,000 V8s were sold. Perhaps because of the departure of Henry Leland there were only few technical advances throughout the 1920s but at least the V8 got a power boost and produced 77bhp. The cars could maintain their position as some of the most powerful cars of their time. 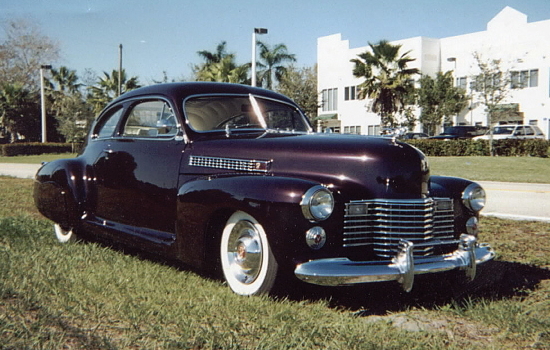 And Cadillac also offered bodywork from coach-builders such as Fleetwood or Judkins for the cars. The new Series 341 Cadillacs were available either with mass-produced Fisher bodies or with coach-built Fleetwoods. The Fleetwoods were of course more expensive and you had a choice of 37 styles against a mere seven Fisher bodies. The 341 Cadillacs were named after the 341 ci V8 and sold alongside the smaller La Salles. Despite higher prices the production rose from less than 20,000 in 1920 to over 56,000 in 1928. But Cadillac still wasn’t a mass-producer like Ford. It was a well established prestige American marque with relatively low production. As a direct challenge to the aristocracy of American motoring in January 1930 the V16 was launched. To come up with such a car after the Wall Street crash was unfortunate but could not have been foreseen when Owen M. Nacker began to work on the engine in 1927. It were two V8s bolted together sharing a common crankshaft but with their very own fuel and exhaust system. The capacity of 455 ci and 165bhp was enough for a top speed of 90mph. 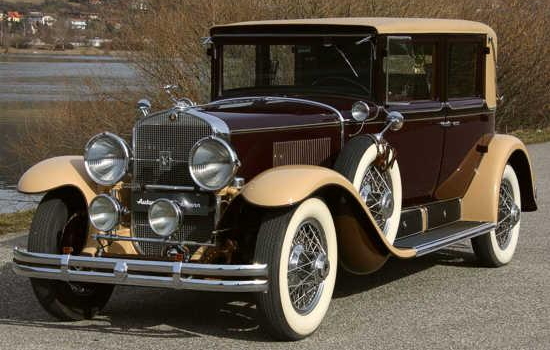 Both the Fleetwood roadster and the fully coach-built version by Murphy or Waterhouse were extraordinary cars for their time. In the first year 3,000 cars were sold but due to the Depression sales dropped to 364 in 1931. Until production end in 1940 the car didn’t sell too well. It was more successful with over 5,700 cars being sold in 1930/31. And besides the mass-produced Fisher body styles, the semi-coach-built Fleetwoods were still available. In 1938 the V16 was renewed and equipped with a new monoblock engine which at 185bhp and a capacity of 433ci (7096 cc) was slightly more powerful than the original V16. It was not only Cadillac’s but the world’s final V16. In three years little more than 500 were sold. The cars though that were really making profit were the V8s. In 1936 a new lightweight V8 was launched. It was available as 330ci (5408cc) in the Series 50 and 348ci (5703cc) in the Series 60/70. For the cars a choice of three mass-produced body styles available: sedan, coupé and convertible. Even though they were totally different to the coach-built V16, they doubled Cadillac sales to over 25,000 in 1936. Throughout the 1930s Cadillac managed to update the cars regularly with features like hydraulic brakes, independent front suspension or all-steel bodies, and in the late 1930s Harley Earl’s protégé Bill Mitchell also changed the styling. The 60 Special Cadillac introduced in 1938 based on the Series 60 but had a longer and lower look. It was not only 3in (8 cm) lower but also had a 32 per cent larger area of glass. Besides being Cadillac’s best-selling model, it also was style setting for most American cars in the late 1930s. 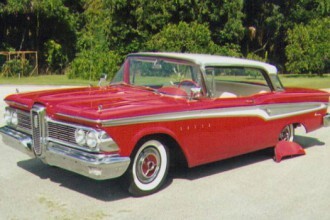 And as this was not unnoticed by General Motors, the 61 in the following year used many of its styling features and shared its body shell with Pontiac, Oldsmobile, La Salle and Buick. In 1940 the La Salle and V16 operations had been dropped, the V12 had already died three years earlier. 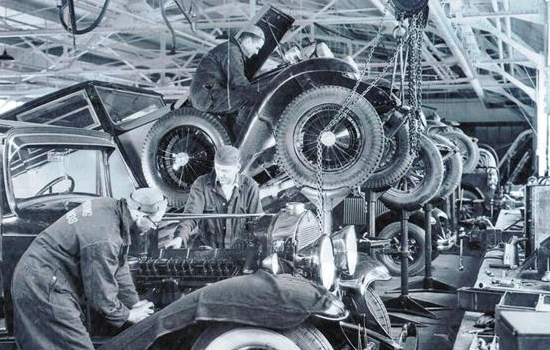 The 60 Special, 61, 62, 63 and long-wheel based 75, all with V8 engines, were built until 1942 when Cadillac, as well as most of Detroit, ceased civilian production. 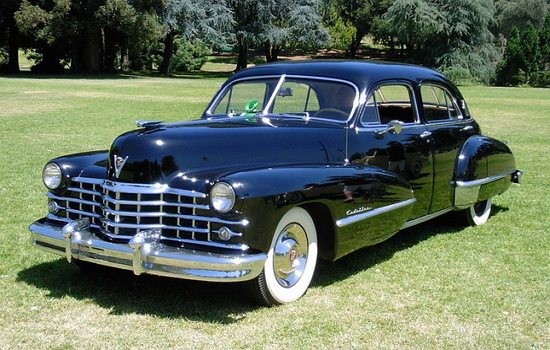 When Cadillac resumed in 1946 it faced a backlog of demand and in that year over 66,000 cars were sold and as the order books were still full, it was clear that the company had to concentrate on production rather than innovation in the first post-war years. The pattern was set for the next three decades.